Spring fever! If you work with kids and education, you know this is a very real phenomenon. The excitement of school is wearing thin, the weather is beautiful, and kids are not always motivated to study. To combat this general feeling of apathy and to keep our students (and tutors!) excited about tutoring and learning, we are introducing some new curriculum pieces for this last quarter of school. 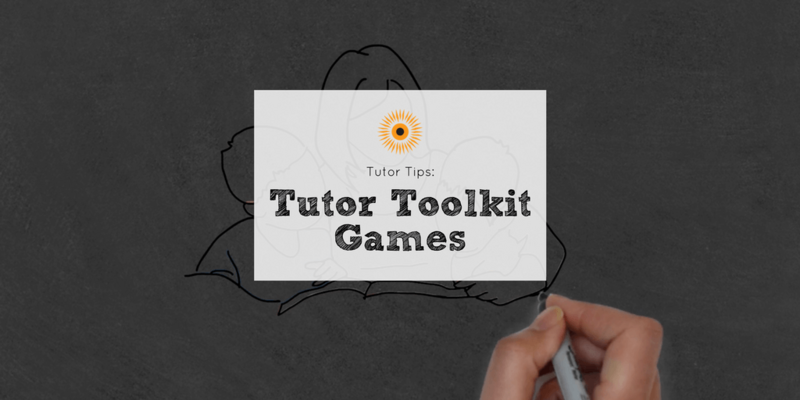 After homework is complete, you should check out some of these new activities the next time you tutor! 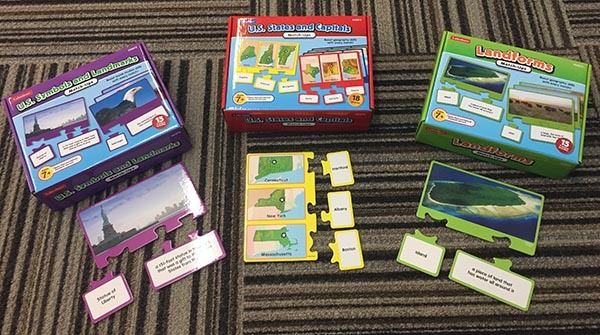 Whether your student needs to brush up on state capitols or identify various landforms, they will enjoy this hands-on way to practice some of the social studies standards. Kids can mix the pieces up and try to match the groups or pairs. 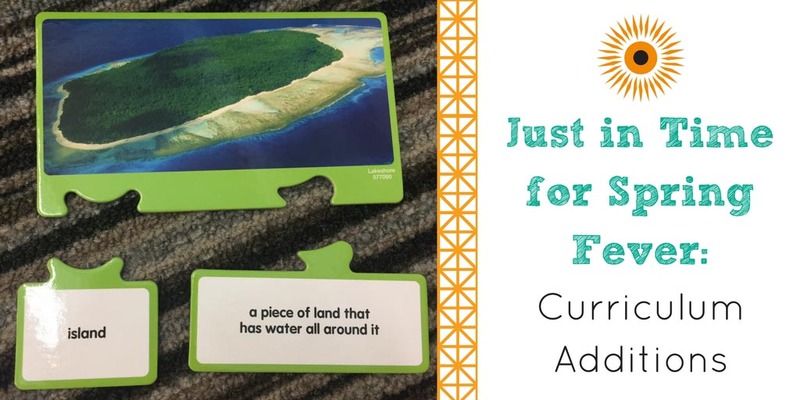 This activity can work well with one student or a small group. These games-in-a-can are designed to reinforce the science standards for second, third, and fourth grade students, though some of our older kids may benefit from brushing up on these science facts, too. The lid of each canned game serves as the game spinner; to play, students take turns spinning and choosing a card of the corresponding color to answer the question. In case you don’t know the answer, the purple card of the deck contains all of the answers to the science trivia questions. This activity also works well for one student or a small group. Check out our new, hand-held microscopes. These cool tools will help our students discover the amazing world around them! 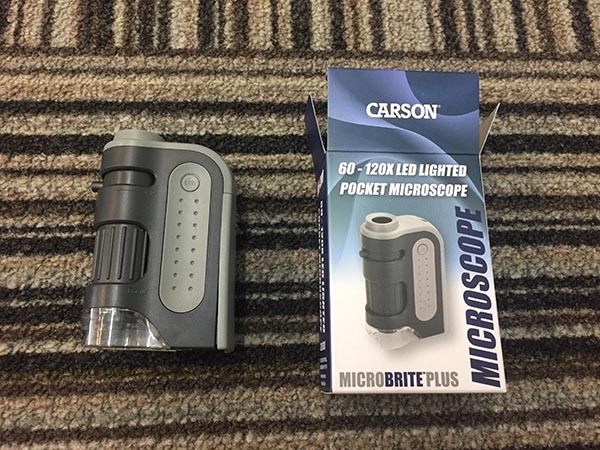 Whether you are looking at a shirt sleeve, a piece of paper, or the carpet, you will be amazed at the detail these little microscopes can provide. Get ready to be wowed! Be on the lookout for a new Science card with some ideas on how to use the microscopes to be added to the toolkit soon! This game of deduction and logic helps students use the process of elimination to discover a specific pattern of shapes and colors. 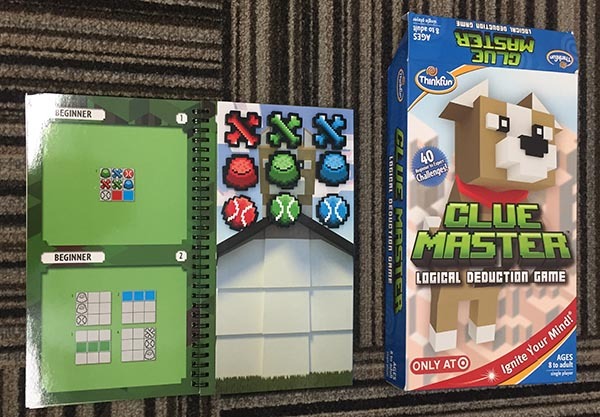 The board games and playing pieces (magnets) are included in the booklets. There are 3 different levels of play, so kids of all ages will enjoy solving these puzzles. Help our younger students recognize letters, practice letter-sounds, or spell simple words with the new Alpha-Bots. 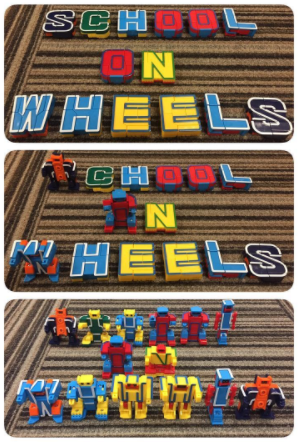 After a student has correctly identified a letter or spelled a word, work together to transform the plastic letter into a little robot. The Number-Bots can be used to set up simple math problems. These little robots are a hands-on way to keep our youngest students engaged in learning and have been a huge hit at tutoring locations already! After you’ve had a chance to try one of these new curriculum pieces, leave us a comment below to let us know how it went. 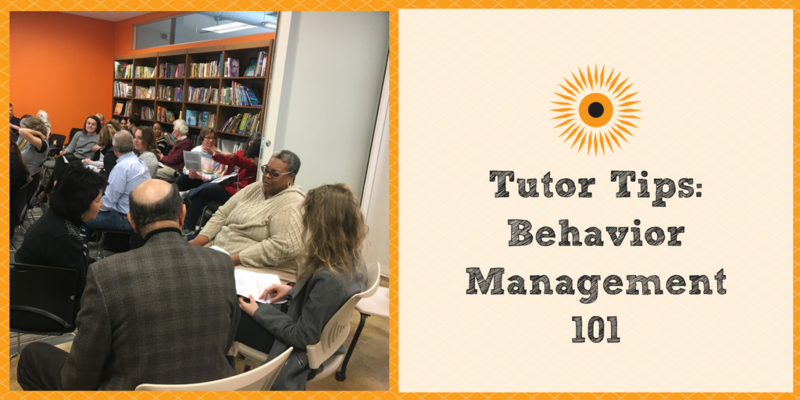 Your feedback is so important, and it helps us plan for future tutoring sessions. And if you ever come across an activity that you think would be great for tutoring, don’t hesitate to let us know! Want even more information about our curriculum? Check out our other blogs here.